You've been able to link your Club Nintendo account to Nintendo's downloadable offerings for some time now, so it's no surprise that the upcoming eShop will offer the same option, with Nintendo Europe announcing a bonus 100 VIP Stars for users who link their accounts. Go to Settings / Other on the far left of the Nintendo eShop Main Menu or click on the Menu button in the upper left corner of the lower screen and select Settings / Other from there. 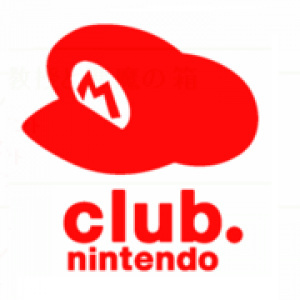 Scroll down and select "Club Nintendo Account". Enter your Club Nintendo email address and password. These VIP Stars are open to anyone who combines their accounts within the first three months of eShop availability, so no rush. 100 VIP points is...... nothing. WOW! One HUNDRED stars! Think of the possibilities! wow, 100 points! this is a life changer. better than nothing. but they could have been a bit more generous there. i dunno, like, save 50% on your first eshop buy. Could of at least been 400 Stars. That could of at least give us 100 Wii/Dsi points for....nothing. @all above: Better than nothing Think those "benefits are more like: "Fill in these lists full of over 9000 questions for 50 stars!!!!1!111!!!" but I give them a chance, make those benefits real benefits! Will do so when the update is there! When it the update in the uk ? Well, atleast its not all we are getting. Ya know, the free excitebike game, Poke3Dex (Get it? I think it could stick! ), and... uh... oh! Right! The internet browser! (Whiiiiichdoesn'tsupportflash... but maybe one day... trails off into own mind) Still, I don't think its that bad a swag. Wait... do we North Americans get anything?? That's precisely what I want to know. ...When will Nintendo upload update for North American users? You'd need to do it anyway to get points for downloadable titles, so nothing wrong with a nice little bonus. anyone got the update yet? @daznsaz Nope, I' keep waiting ti'll midnight and hope something happens. Nintendo said Europe will get the update on June 7th, which is tomorrow. UK and EUers, get to bed! Ahh, it's the seventh. Update...update...update...update. Where is it ? I don't think this means anything for us in NA, we don't use stars and we don't really get real world bonus' in NA at Club N.
Hopefully NA gets something. Not sure why they would do that for Europe and not us. Maybe because you Americans always get all the good stuff . Ok, it is now 9:41 pm CST by me here in the US..and STILL no update?? This is killing me here! Heck they should just give everyone points to shop with for making us wait...and wait.....and wait.......I have no idea what these "stars" are supposed to do...would rather have points to shop on haha! Hey, with those hundred stars I'd be finished with Super Mario Galaxy 2. Any mention on which ones they are?